Ottawa – This year, on the occasion of Genocide Awareness, Condemnation and Prevention Month, the Centre for Israel and Jewish Affairs, the Armenian National Committee of Canada, the Ukrainian Canadian Congress and the Rwandan Humura Association are joining efforts to organize a series of events in Ottawa and Toronto, dedicated to Genocide awareness, education and prevention. A panel discussion under the title “What Does Never Again Really Mean?” will be held in the Parliament of Canada on April 16, featuring renowned academics and courageous genocide survivors, who will share their experiences and insights on the collective efforts of genocide awareness and prevention. The event is endorsed and sponsored by the All-Party Parliamentary Friendship Group for Genocide Prevention and the Canadian Museum for Human Rights. On April 29, community leaders and activists will gather once again at the St. Volodymyr Ukrainian Orthodox Cathedral for a one-day conference dedicated to Genocide education. 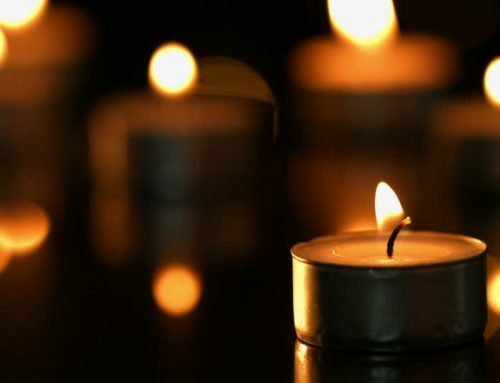 On April 24, 2015, the House of Commons unanimously passed a historic motion (M-587) designating the month of April as Genocide Remembrance, Condemnation and Prevention Month. With support from all major parties represented in the Canadian Parliament, the motion recalls the genocides recognized by Canada, the Jewish Holocaust, the Ukrainian Holodomor, the Rwandan Tutsi Genocide and the Armenian Genocide of 1915. The Canadian Parliament has also recognized the Bosnian Genocide and the ongoing genocide that is being committed by the so-called Islamic State against the Yezidi minority in Syria and Iraq today. strong message that Canada and Canadians of all backgrounds remain committed to remembering the past and battling hate, racial discrimination and bigotry in Canada and across the world. This partnership of various communities was pivotal in the realization of a motion that continues to uphold our shared values of respect, tolerance and intercultural dialogue in a country where diversity is a strength. It is based on these very convictions that we are combining our efforts to raise more awareness and stress the importance of addressing such matters in the public sphere. We are confident that successive Canadian governments will build upon the legacy of this motion and continue upholding their commitment in remembering and condemning past genocides while working to prevent future genocides and crimes against humanity from taking place.